Faithfully brining events from the film to the comics page, read along as Luke Skywalker confronts the legacy of the Jedi. 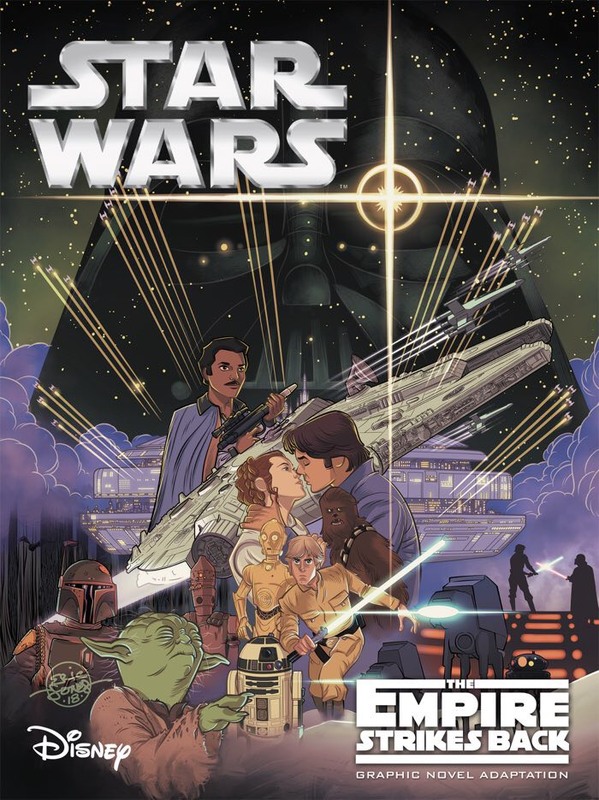 Han, Leia, and Chewie struggle to evade the Empire, encountering danger at every turn; and Vader pursues the Rebellion with greater determination than ever before. Plus, emerges from the shadows a certain 900-year old Jedi Master does. Allesandro Ferrari’s creative team has once again produced a wonderful adaptation that delivers the familiar story in a fresh format. 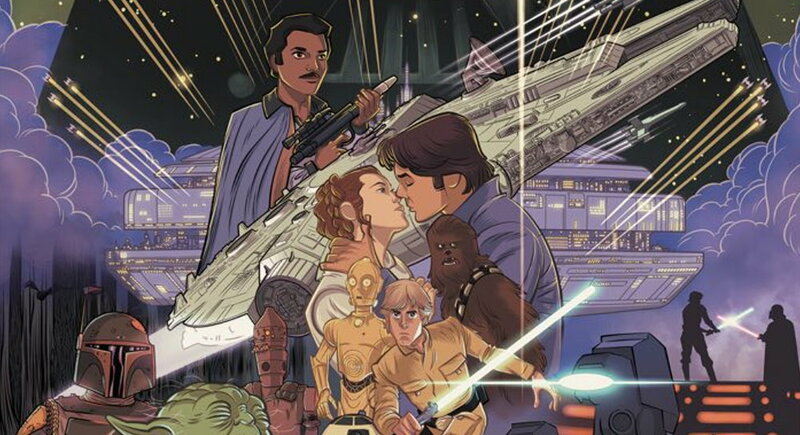 As with the previous releases, the art is not quite-anime yet not quite cartoonish and certainly comparable to the style utilized in the new series Star Wars: Resistance or the mini-episodes of Star Wars: Galaxy of Adventure. Similarly, this adaptation is geared toward the younger audience but is a must-have for any fan. There are a few edits that are obvious to the discriminating eye, particularly in the sequences on Dagobah. The introduction of Yoda is brief and lacks the amusing banter between Luke and the ancient Jedi Master. As an afterthought, it probably wouldn’t translate to the comic-book frame. Luke’s encounter with the Magic Tree is completely removed. I may be in a minority opinion in considering that to be an important moment in the film for its foreshadowing of what awaits. 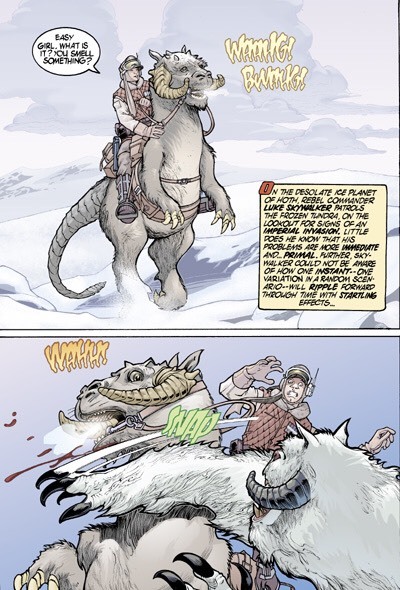 What may be lacking in some situations is made-up twofold by the Battle of Hoth and the Bespin Duel sequences. 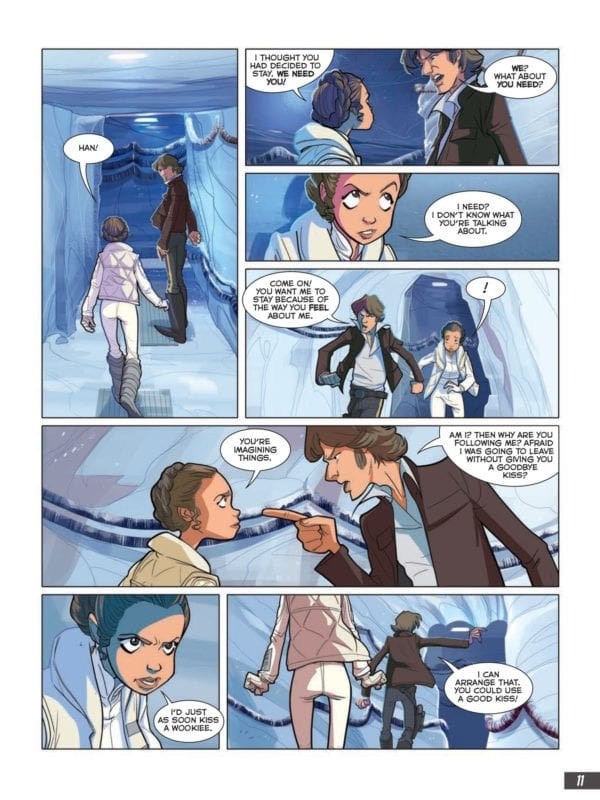 Likewise, the Bespin Duel is expressed perfectly on the pages. I felt both scenes are captured on the pages so well that you are instantly reminded just how fantastic they are on film. Naturally, it requires very little encouragement to watch the film it could be said that the book “invigorates” that natural tendency. Appearances in these books always gives the impression of stopping just short of animation. It doesn’t take a giant leap in the imagination to picture them moving along as in an animated film. There are subtle details that help this approach. It seems as you progress through the book, minute differences in Luke’s appearance seem to match his loss of youthful innocence just as he experiences in the film. Darth Vader has a McQuarrie-like resemblance to the 1976 edition of the novel which is an added pleasure. Although the prequel and sequel adaptations have been available in two separate hardcover editions, I still welcome each individual release. The Force Awakens, The Last Jedi, and Rogue One are currently available only in the individual books and Solo: A Star Wars Story is going to be released very soon. You can’t go wrong with adding these books to your collection.